One thing is certain: Alfa Romeo has given Räikkönen back the smile and the mood to joke that Ferrari’s last five years had taken away from him. 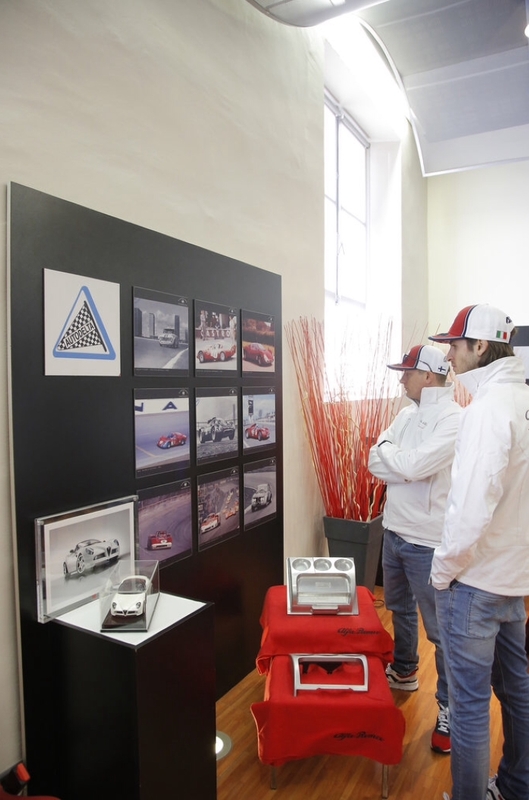 Kimi and Giovinazzi, a few days before starting the test in Barcelona with the new Alfa Romeo F1 powered by Ferrari, allowed themselves a “day of nostalgia”, immersing themselves at Balocco in the history and culture of Alfa Romeo. Discovering how great the tradition and history of the Milanese brand is, the first constructor to win a Formula One world championship back in 1950. Enzo Ferrari called Alfa Romeo “la mamma”, precisely because it was Alfa that gave the young Drake almost a hundred years ago the chance to start his career, first as a driver and then as a team principal, to use modern terminology. 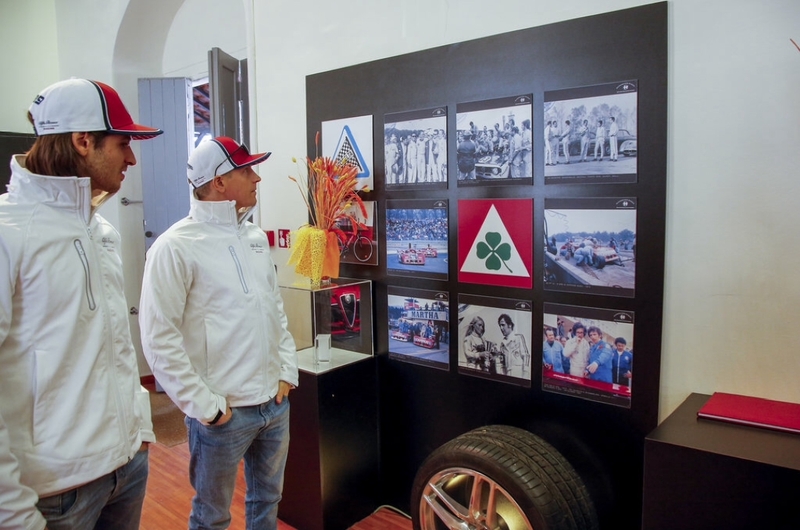 The plunge into the Alfa Romeo history for Räikkönen and Giovinazzi took place at Balocco, the historic Alfa circuit that now belongs to the FCA group. Balocco, to put it simply, is to Alfa Romeo like the Fiorano track is to Ferrari. But Balocco is less well known among enthusiasts than Fiorano because it is hyper-secret and off-limits for everyone because here are tested all the prototypes under development of the Fiat group, and also those of Ferrari. The Balocco area, which lies between the Piedmontese rice fields between Novara and Vercelli, is enormous: it contains a total of 26 tracks, including off-road tracks, and a high-speed ring with raised bends, 7.8 km long, longer than Indianapolis. But the original Balocco track, and the most important one, is the track known as the “Misto Alfa”. A 5.6 km circuit made up of 19 corners and two very long straights. According to the habits of the time, all the most famous and demanding curves of the European tracks were reproduced on the Balocco track. There is a turn that copies the mythical Lesmo of Monza and a twisty path that reproduces a part of the Zandvoort circuit, including the famous Tarzan hairpin. 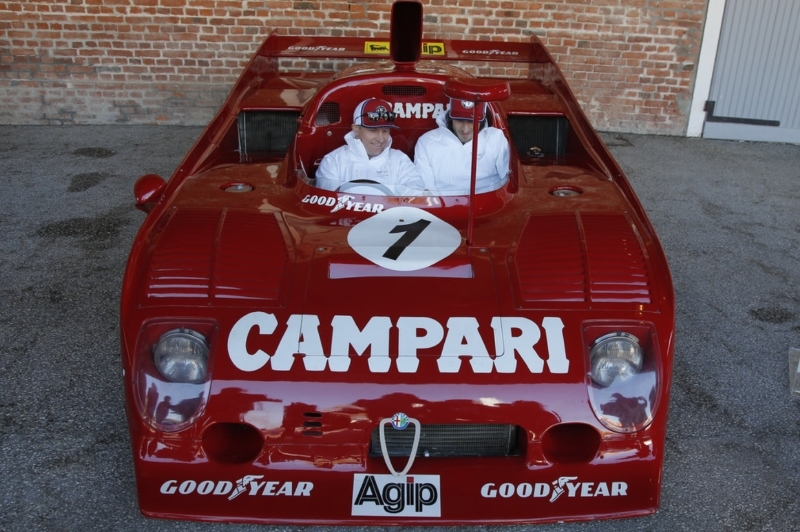 Balocco has weaned all of the most famous Alfa Romeo racing cars of the last fifty years. The Alfa Romeo Formula 1 of the late 70’s took its first steps with drivers like Brambilla and Giacomelli at the wheel. In Balocco the legendary Alfa Turismo of the 60s and 70s, such as the Giulia T2 and GTA driven by De Adamich, Giunti, Nanni and Zeccoli, were launched. And Balocco was also the home of the Alfa Romeo 33 TT12, the “barchetta” that gave Alfa the World Championship for Makes title in 1975. The latest Alfa Romeo World Title. 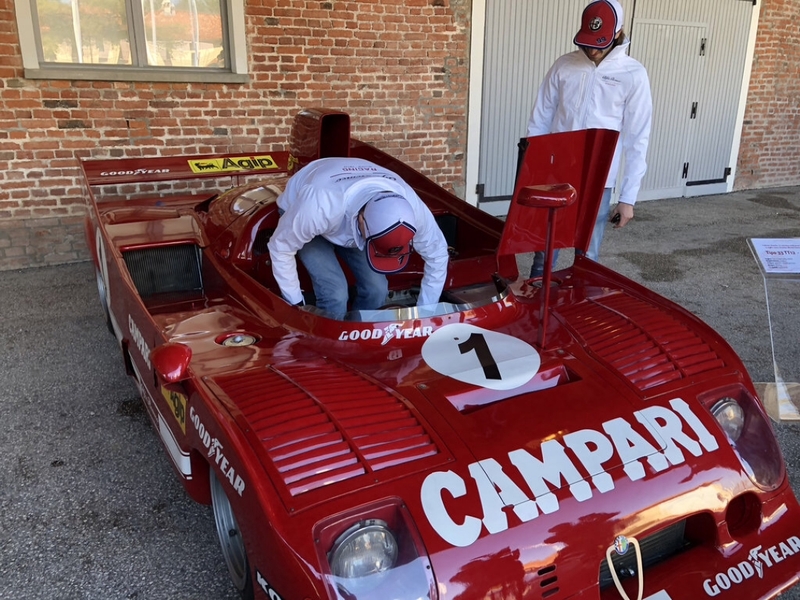 It was the same car that Kimi Räikkönen found surprisingly on display in front of the Balocco farmhouse, where the Autodelta racing department also used to be located and where the engineer Carlo Chiti had his own office. Räikkönen’s competitive past, on the other hand, is linked to the Sauber brand. It was with the Swiss single-seater that Kimi made his debut in F1. In a private test at Mugello in 2001 when he was just 21 years old. It is said that he went so fast that even Schumacher, engaged on the track with Ferrari that same day, asked around who was that boy in the Sauber that had impressed him. Räikkönen, however, puts away that episode. “I heard this story but I wasn’t aware of it. I was much more worried because that year they didn’t want to grant me the F1 superlicence because they said that I didn’t have enough experience (Kimi had only 23 races to his credit in Formula Ford and Formula Renault before the jump in F1). It annoyed me a lot. Luckily after the good result of the first race in Australia (6th place) I got the final one”. In October Räikkönen will become the third driver of the modern era to race in F1 at the age of 40 after Schumacher and Mansell. 40 years old, but he doesn’t show it at all. Neither physically nor characterically. You can see that the distance from the stressful Ferrari environment made him reborn. It gave him a new serenity that made him rejuvenate mentally. 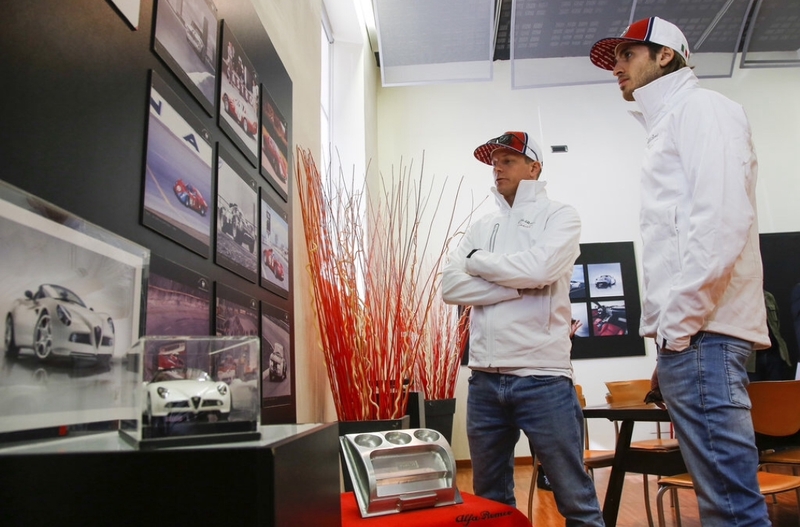 Giovinazzi trusts in the help that Räikkönen will give him: “He is a very strong driver and it gives me confidence to see him charged and enthusiastic about this adventure. 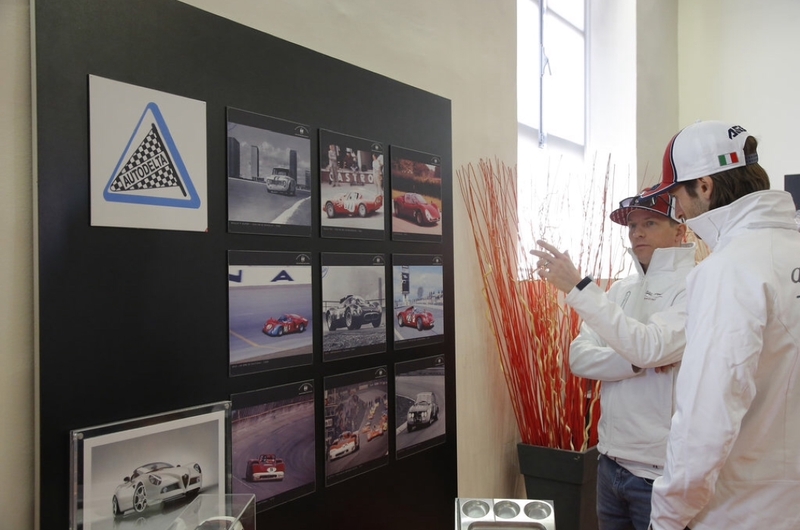 He is much more relaxed: I talked to Kimi more in these two months in Alfa Romeo than in two years in Ferrari. I well know he’s an Iceman, but in reality he’s not closed as they say: he’s a guy you can talk to and compare yourself with. In the end I’m really happy to have him on the team for the first year because he’s the most experienced driver there is. From whom could I ever learn more about F1 than from him? Kimi is a very generous guy: he is not one of those drivers who keeps things to himself, who is reluctant to reveal his information. He’s one of those drivers who if you ask him for something, he’ll help you without any problems.